Ideal for greenhouses, outdoor displays and as a weed barrier for plantings without topical coverings where a weed free environment is a must. 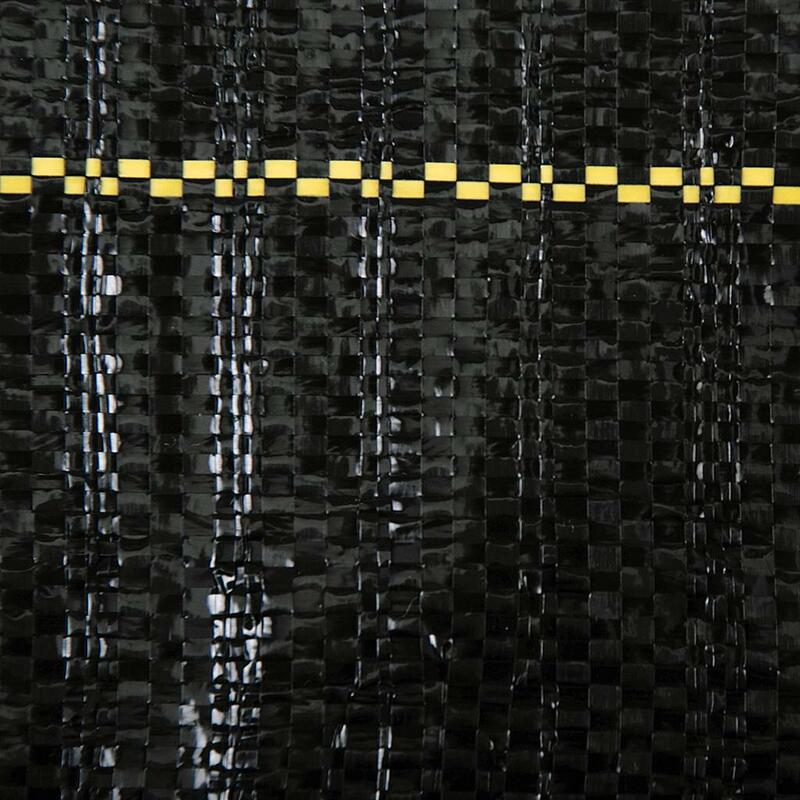 Striped every 12 inches for aid in plant alignment and is UV stabilized to last even in direct sunlight. Select the standard sizes from the drop down box above. Product Quality lived up to what was avertised. ground cover stoped all grass and weeds from growing. paid fair price. Bought for weed control in the veggie garden. Used sm propane torch to burn holes for plants. No raveling that way. Happy gardener! 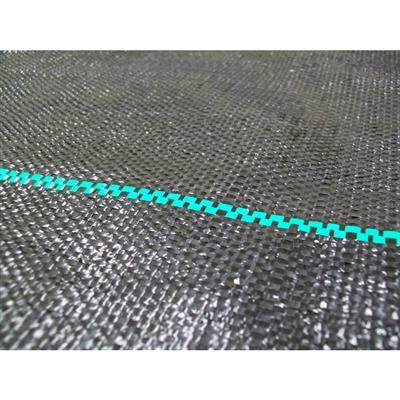 I used this to cover the area under and around the outside of my above ground pool. Great quality, no rips or tears. Easy to use just roll to desired length and cut. Used ground stakes to hold it in place. Wonderful, easy product. Great price. Great customer service. Great product. My garden is flourishing on it. 1 month review....Bought simular product from menards when I ran out (green lines).This product (yellow lines) was by volume cheaper and in my opinion better quality than the store. The water does not pool on top but there are still some stuborn weeds growing underneath( but unable to penetrate the tarp, thank goodness! )I am using it in the walking rows of my vegetable garden to cut back on weeding. So far, the product is working as I would hope. I finally found the proper cover for my vegetable garden. Lets rain water in but no weeds grow. Awesome product. Great prices and fast delivery. Very happy! Great quality, very durable. Will purchase more in the future. I use this to keep weeds down and reduce water usage. Our area is hot during the day and much cooler at night. This product keeps the heat in the ground to help the plants thrive. 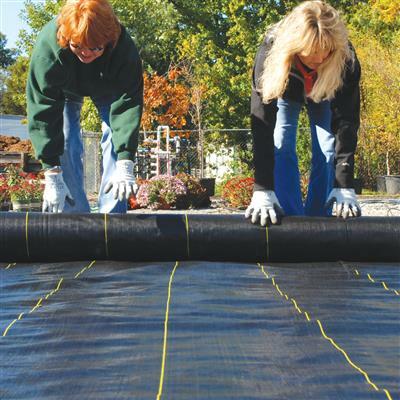 It is very durable and well worth the cost just in the water savings alone. The price is great for the size you get. It's on the thin side but I double layered it and threw down some some weed killer underneath it. So far no problems. I can't say for it's durability under mulch or rocks since I'm using this above ground to place rows of planters on so I don't have to mow or weed whack around them all. Overall, I would recommend it. I have an approximately 800 sf raised garden bed here in FL which, due to poor soil quality and aggressive weeds, I decided to cover w/ plastic and do container gardening only. After a few years the plastic fell apart and I was looking for a better groundcover material. Also I wanted to convert half of the raised bed to an outdoor yoga studio. This fabric is absolutely fabulous, both for the container gardening side and the yoga side! It feels good on skin, can be swept clean and does not allow sand to come up through the weave. Water drains off well after storms. The price was great. I could not be more pleased. I am using this ground cover to put down under some above ground gardening in order to make it easier to mow around my hydroponics and Air Pruning gardens. I used the polypropylene ground cover on a high traffic area to cover a portion of my back yard. Works perfect. And still holding up. I've read how big he-man types use glowing red irons to heat-seal the very fraying edges, but, hey guys, lay cut edge on plywood, cover with parchment paper and use a household iron set to linen and you're good to go. Nice size great price arrives quickly, measures as described. Always on time with the best materials. Dependable and accurate. This was a nice thick ground cover. It will definitely block the weeds. It also has lines on it which is useful for placing under a green house or making straight plant rows. Great Value for sure! This is the best product I have used! Very easy to use, looks great, thicker than most! I have a huge garden, this saves so much time with weeding. Keeps soil moist and warm. Easy to burn circles with propane torch, to prevent frying. No weeds have gotten through! No standing water, rain passes through easy. Great pricing for all sizes. This is my second time purchasing this product and it is fantastic. I purchased it 3 years ago and it 100% kept weeds out. Last year it started to get a little thin in spots so I purchased more. I am looking forward to replacing the older one and giving away the older one because there is still plenty of use that can be gotten out of it. Fabric frayed where I cut it. I put duct tape on it before I cut it and it doesn't fray. So far no weeds. I received exactly what is advertised. The cut was perfect. I will definitely buy again and recommend to others. Why is the 1 foot marker green on the material I received? The specification calls for gold color and the last rolls I received were were gold. The ground cover is of excellent quality, but it does not allow water to pass thru it. I put it in place one morning had a small puddle in one depression. The puddle was still in place the afternoon of the next day. We used the product to cover an area that would not grow grass. We purchased rock to go on top and it looks great. It made the install very easy and I hope it will last. The product is much thicker than any ground cover we could purchase at Lowes or Home Depot. I would recommend this product. It has lasted for a year so far ,i ordered this last year and i ordered another one. It is so durable and easy to install. Using this product for ground cover under rock and a greenhouse - product is strong and easy to work with - my hope is that it will last for years to come! I am using the landscaping fabric as a groundcover for my homeade greenhouse. It is very durable and the quality is much nicer than i expected. I would highly recommend it to others for the same use and/or for flower/vegetable gardens! The weed mat arrived on time as promised. It seems very durable and resists the rock that I installed on top. The quality is great. I have used the entire roll and found only one small flaw. Great job! Really nice product at a really cheap price..shipped really fast. Would recommend this product to others.. Good weed suppressor. So far, so good - I like the six-foot width and it has been durable with no weeds coming up through. It does fray a little at the cut ends so fold it over a few inches before anchoring and you can continue to mow over it. I bought this for the inside of the greenhouse floor. Sizing is pretty accurate, have purchased several more pieces. There is no way I'm going to dealing with weeds again. Yeah!!! 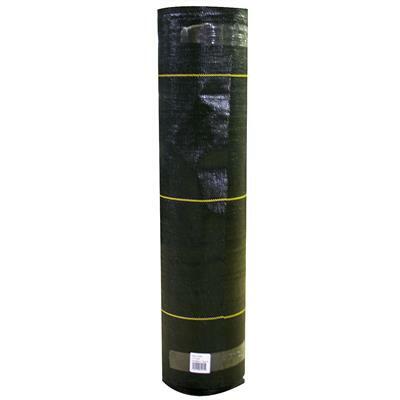 This is a tough covering and I think it will be very durable for my hydroponic vegetable garden. Easy to put down and works vey well would use more. Used throughout my raised bed garden covering all the pathways. Excellent product. Great service. Received the product promptly. In the garden now and looking good. Had one bad spot about 6 in diameter. Both pieces where a short at least a foot but the price was good. Why I don't know. Over all I'm happy it doing it's job. I have used more than 2/3 of the 300 feet roll and I am happy with the product, overall. However, there were 3 manufacturing defects. 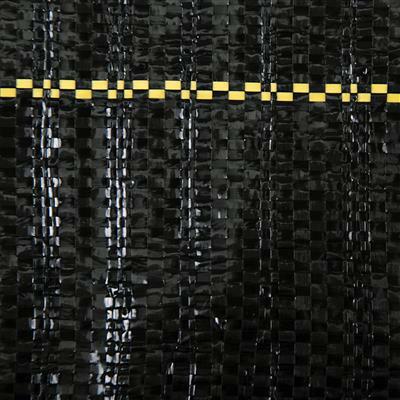 Randomly, within the roll, there were about a 3 feet section that the weave is loose and larger that the normal strands. It makes it hard to walk on,rips easily and trips you. I had to cut it out but it defects my need for a continuous path. I wish a heavier weight was available in the 25 ft pieces. I used this as an alternative to black plastic it seems to holding up ok. I melted the frayed ends with a propane torch. It was easy to do and eliminated the fraying ends. A butane cigarette lighter would work good too. Bought this product several years ago to cover the garden, vineyard and orchard (about 1 acre), Still works great! The vegetable garden area is taken up each fall to plant barley that is tilled under in spring (green manure)--so nice to be able to go into garden even on wet days and not have clay sticking to your feet, The best part is sweet potato the size of footballs--due to the increased soil temperatures and moisture levels. Caution DO NOT TRY PUTTING IT DOWN ON EVEN SLIGHT BREEZY DAY--HANGING ON TO IT A SLIGHT BREEZE CAN LIFT A 165# PERSON SEVERAL FEET INTO THE AIR. (LOL)Have move to new house so we bought more for the new garden!!!! GREAT STUFF!!!!!!!!!!!!! After years of buying weed-barrier fabrics from big box stores, I decided to look for something better. The brands in Home Depot and Walmart are so cheap and flimsy that they rip easily and disintegrate after one season- and if you read the directions on those they have to be covered with a mulch because they fall apart in sunlight. I'm so glad I did my research and found this product. It does not need to be covered with a mulch, and after using it for one season I can say it still is strong and intact. It did a great job of blocking the weeds but still allowed the rain to pass through the weave. 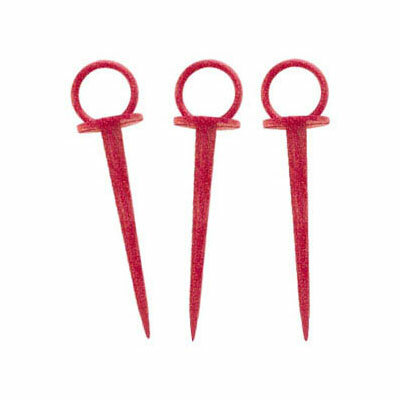 My only suggestion would be to cover the edges with dirt as well as using the re-pins or stakes. I used only the re-pins; then we had one very windy day and the wind had gotten underneath the fabric, pulled up the pins, and I had to put it all back again. This year, I will be making a shallow trench with my garden hoe along the edges, then pushing a mound of soil up along the edges so the wind can't get under. Great product now have some of the product in use for over a year. Used to cover the ground in my nursery. Hasn't even lasted the summer when exposed to the sun. If that's your intended use this is not the correct product to purchase. It is not uv stabilized at all. quantity less than 12x300' roll apparently gets chopped and shipped by 12x26'+/- swaths, each end needs either electric paint scorching gun or plumber's torch to finish the raveling edges, especially by fitting 'Y's and diamonds around trees and columns. sobeit for the $. woven fabric easily penetrated by stubborn tree saplings, less so by grasses. chemical not torching remedy after these punching thru - plastic melts in flame!. Finally ! This polypropylene ground cover is the real deal and weeds are not growing under it at all.This is the first product ( out of many ) that I have tried that actually works to keep weeds,grass,etc. out of my vegetable garden.Forget the 'mart' stores they don't have this kind of material.No weeds and its black color keeps the ground warmer which aids in veggie growth ( earlier crops ) also and I have not had to pull one weed. I live in a very windy area and I was very skeptical about the staples holding the ground cover down I got the 6 x 1 staples ( 500 count ) and spaced the staples 1' apart along the edges, the ground cover I have is 6' wide and I made 70 'long strips and it has not moved at all.Oh and did I mention I have no longer have any weeds in my garden? Had been using the ground cover from Sloat, which worked but was thin and flimsy and available in only small sizes. The 10 by 300 made my work go soooo much faster and was so strong that it could double as a shelter, where the chain brand was more like cheesecloth. A great product. A high quality product that is very durable and easy to use. My husband and I love gardening. We decided to do a raised bed garden, so, I did a lot of research before we decided to purchase landscape fabric. We love this product. It is great at keeping the weeds from both growing and taking over the garden. There were 2 problems with the ground cover: 1)The ends were frayed on parts of the ground cover; and, 2) No matter how secure the fabric was laid out it would have small openings. So, my husband purchased gorilla tape and taped the edges down so it would not fray any more and the gaps would be covered.I would recommend this product to anyone who wants to garden and alleviate the weeds. 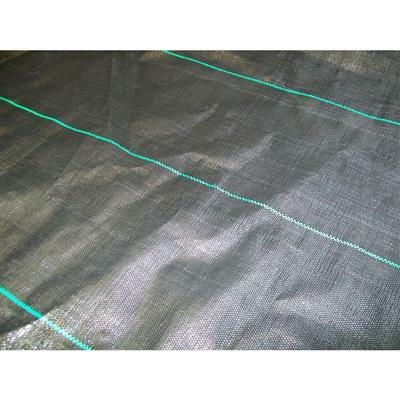 The fabric works, although there are several manufacturing defects that have left holes and runs in the weave. Also the roll was a few feet short. Excellent products! much better than that cheap weed guard you get at your local home goods stores. I will definitely buy more products from Greenhouse Megastore. I really like this ground cover material. I have used the landscape fabric from the hardware store many times and it never keeps the weeds away. Thanks for a great product. Rolled out great - has a selvage just like cotton fabric, so you must stretch it a bit on the selvage side to keep it straight. Had exactly 300' as promised. Going to use a kitchen torch on the exposed edges which are anchored with 6x6x14' posts due to extreme wind in spring. Very happy with product and ordered some additional in 4' width for around the greenhouse and garden storage building. Quick service and the product installed easily and seems higher quality than what I almost bought at Home Depot. I've tried quite a few fabrics over the years, including ones recommended and sold by the big-box stores. So far this is a great price, for a product that does what it's supposed to - keep the weeds out of my garden! My order arrived on time and in great shape. 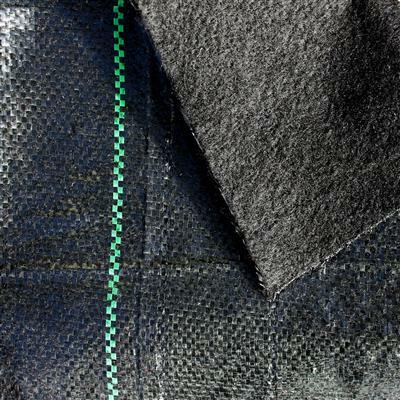 The fabric is super easy to work with including cutting for seed planting. I used a simple utility knife. The lines make it easy to keep things straight. Skip the Home Depot stuff and use this. It will last a heck of a lot longer and will keep evil weeds at bay! Have been using this product for over seven years and love it. I use it all over my property to make landscaping. I put it under the cement walking blocks and put pea gravel between the blocks. It end product looks very nice and easy to maintain. Even use it in an area to make a play area uned the swing set for my great grand children. Can only give this 3 stars for now. The roll I purchased had a defective strip the entire length of the roll. The strip was not woven as tight. Will have to see how it wears this year to give it a higher rating. My rolls end looked like it was pre cut. Came up short about thirteen feet. This cloth is very difficult to cut! 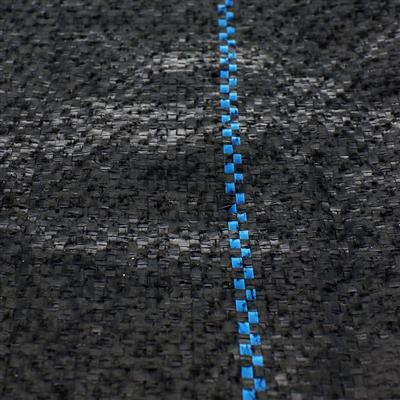 Once cut, the ends fray and there are polypop threads all over the place. 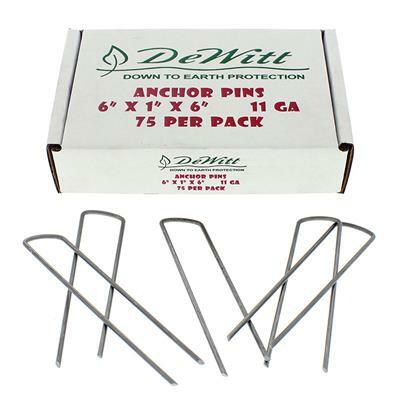 So far I have not found anchoring pins that function to hold down the cloth, as my garden is in a very windy location. The ground cloth is like a sail that catches the wind. I have not yet tried burning the ends.The weeds have been suppressed where the cloth stays in place, and makes for a pleasant walkway. I was looking on the Internet for ground cover to lay on my new blackberry rows which would last for over 10 years to keep the weeds and grass from competing with my berry plants. The Greenhouse Megastore had exactly what I needed and in the appropriate size at a fair price. After I ordered it, the GC was on my doorstep within a week. So far I've used this ground cover for my tomatoes, peppers and squash. 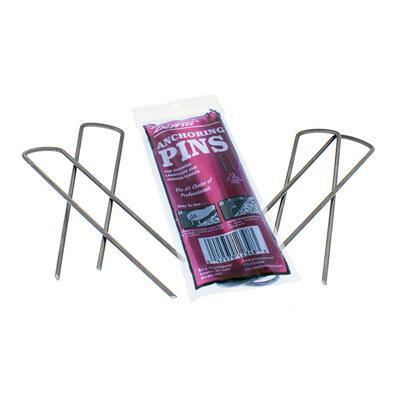 Great product for the price and it has already saved me hours and hours of weeding time. I think I'm going to expand the use for next year too. This particular product is excellent. 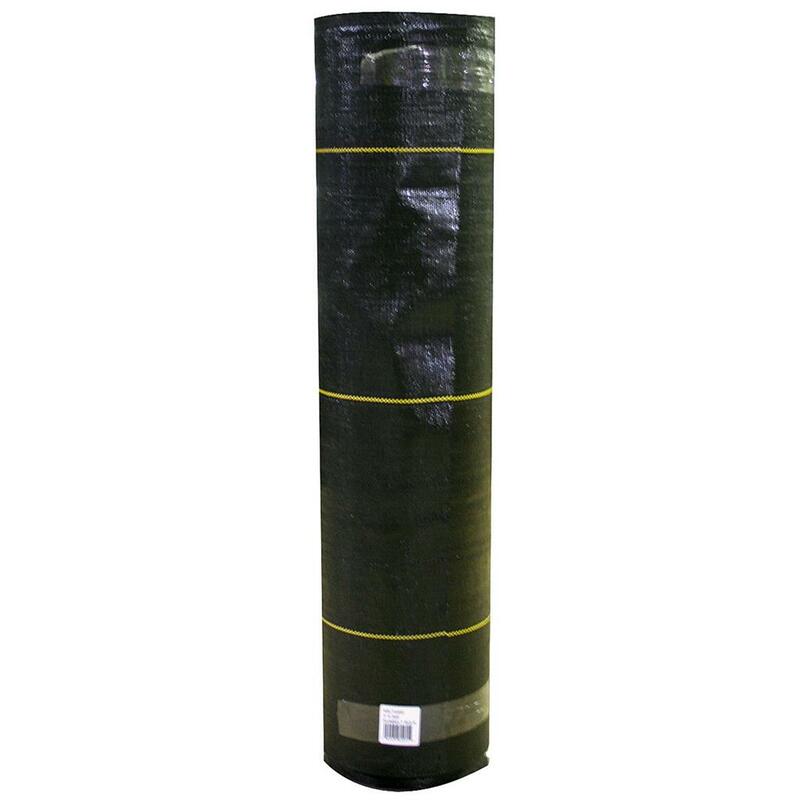 I own a blueberry farm and ordered this weed barrier hoping that it would be good, but I was not sure due to the lower price; however, to my surprise, the material was of excellent quality. I highly recommend this product, but more specifically this online store. I really appreciate honest business people who care about their customer(s). You can check around at other places, but for the price and quality, I would be surprised if you can surpass this company's customer satisfaction! Have bought others types of weed out they do not last. This is holding out good. I am buying more of it. I've purchased several hundred feet of the GR-SB32 weed barrier to use between pea rock and Rubberrific for an elementary school project. This was after buying weed barrier from other places that claimed to be tough. The others you could tear with your hands or light passed through them allowing weeds beneath them. This Dewitt weed barrier is far superior to any others we tried. It is substantial in weight. We have covered it with rock dust and it is doing a great job. We asked the salesman for the toughest most durable product and he recommended this. It was nice to find that it lived up to what we were told. The Price was what really sold us! This is an excellent product and performs exactly as advertised. It is strong enough to provide a walk-on cover for small trees and plants. Will certainly be back to the Megastore for future nursery needs. 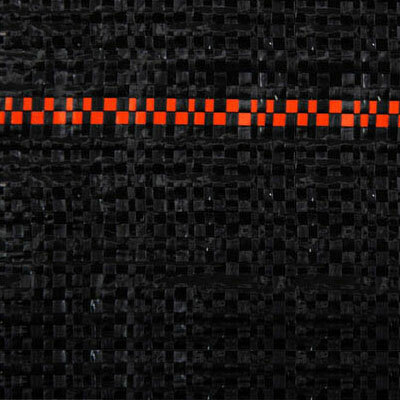 I purchased the product in August 2008 and compared to similar products, this fabric is the best choice I've ever made. Forget Home Depot or Lowe's! 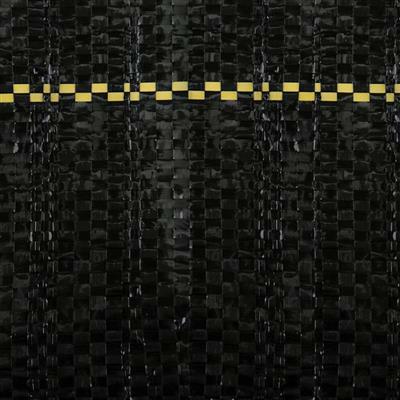 This Fabric has it all: Flexible, Durable, Black, and very very strong! 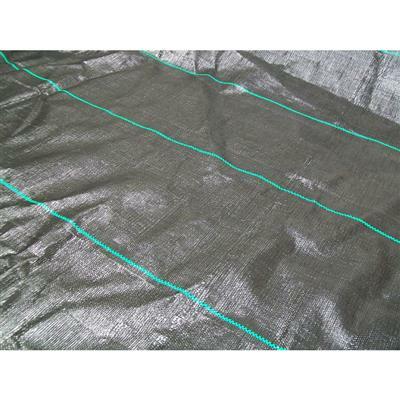 We just purchased this landscape cloth and were extremely pleased at the quality. For the price, this is an incredible bargain and having a 12ft width cut installation time in half. We will definitely purchase our materials from Greenhouse Megastore from now on. I highly like this product as it completely blocked out all weeds from a rocky, weed infested side slope next to my house. Sure beats getting in there to mow or weed wack every few weeks. Fast shipping also. Great heavyweight commercial quality kept down weeds a 1/4 thick. 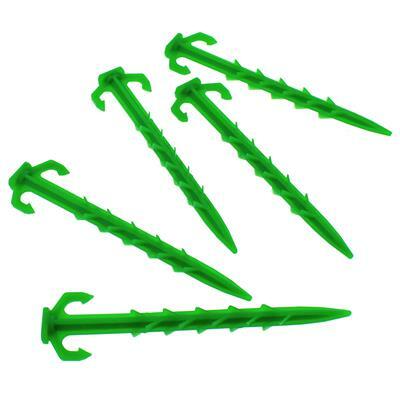 Stalks could not penetrate surface or tear through even when walked on. Highly recommended material for all landscape and gardening areas where weed barriers are a must! megastore people are very professional and care about your satisfaction, they cared about me and I will be returning. I was a little disappointed in the quality of the fabric. I inherited some landscape fabric when we bought this house. I thought I had found the same kind by the description. Unfortunately, it was not. Yours is more plasticy where what we had is more like material. Your rips more easily and I don't think it will hold up as well over time.